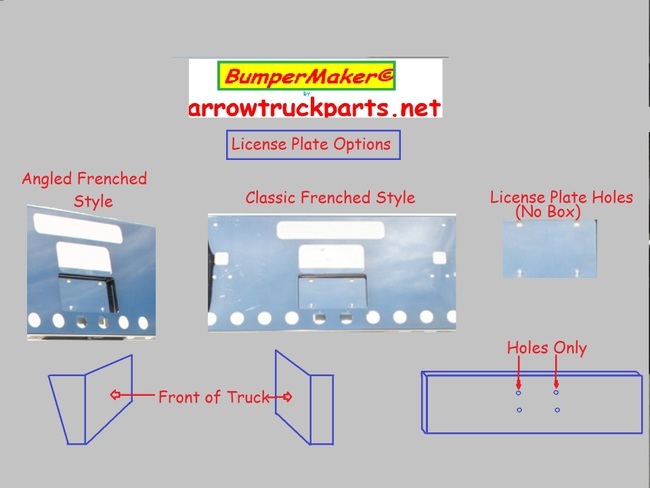 BumperMaker© Is A Slick New Way To Design Your 1982 To 2010 Kenworth W900B, W900L New Aftermarket Bumper. 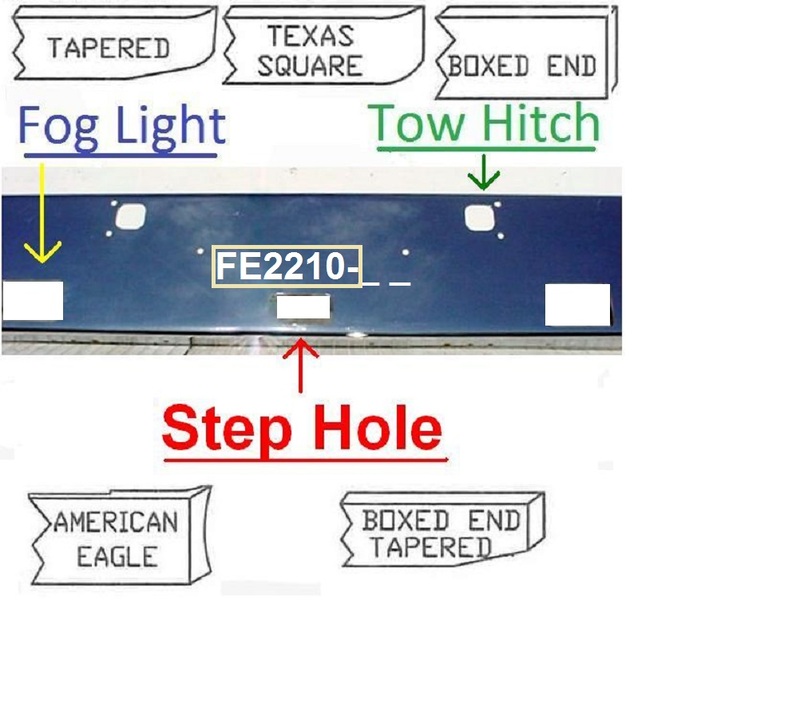 Cutouts: None, Step Hole, Tow Hitch Holes, Or Fog Light Holes. Material: Polished Chrome Steel, Polished Stainless Steel, Or Painted Black (Powder Coated). End Style: Tapered, Rolled End, Boxed End, Box End Tapered, Or American Eagle. Height: 12″, 16″, 18″, 20″, 22″, Or 24″. Box End Tapered Also Available in 14″. 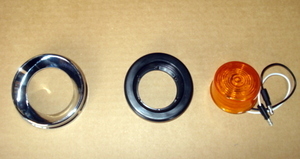 Light Holes In Front: None, 9 Ovals, Or 15 Round (2″ Diameter). Sold Without Or With Lights And With The Wiring Harness. This Makes For A Clean & Fast Installation. 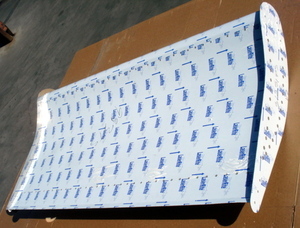 To Prevent Damage During Shipping The Lights Are Included In A Separate Box And Are Not Installed. Light Holes In Side: None, 1, 2, 3, Or 4 Round. For Boxed End, Box End Tapered, Or American Eagle Only. Sold Without Or With Lights With The Wiring Harness. This Makes For A Clean & Fast Installation. 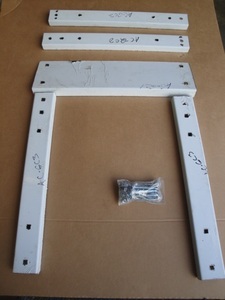 To Prevent Damage During Shipping The Lights Are Included In A Separate Box And Are Not Installed. Bolt-Less Mounting Style (Universal Style Mounting). 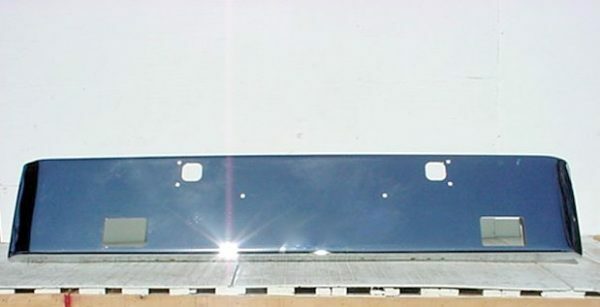 Two Brackets Are Included Which Are Bolted To Your Bumper Brackets. 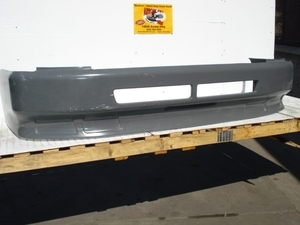 Then The Bumper Is Installed Onto These Brackets Via Holes In The Top And Bottom Of The Bumper. This Makes For A Smooth Look. Frenched License Plate Box: Built Into The Bumper & Includes An Amber Light Wand Which Lights Up The License Plate For A Classy Look. Text & Light Box. Your Choice: With Or Without Light Box. 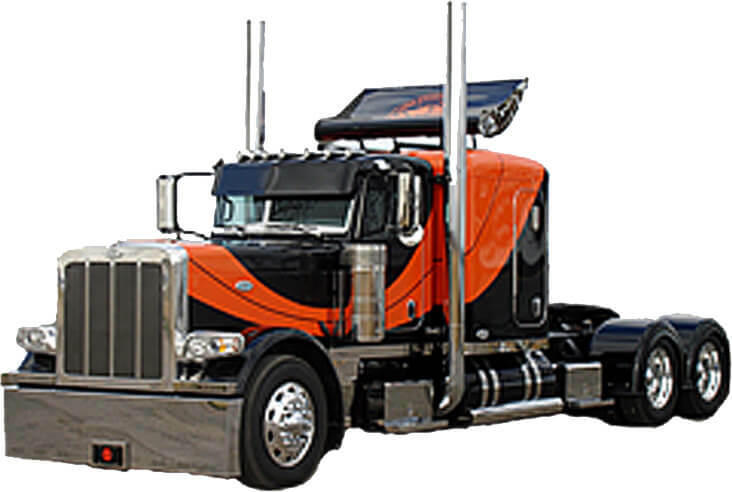 Make A Statement And Have Your Truck Really Stand Out By Adding Custom Text To Your Bumper. You May Use Up To 24 Characters (Including Spaces). You May Then Illuminate It With An Optional Light Box. 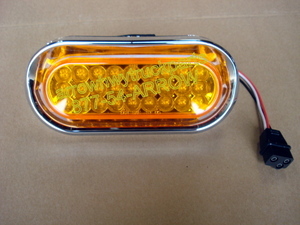 The Light Box Is Welded To The Back Side Of The Bumper And The Lights Are Attached To Holes In The Top Of The Light Box. 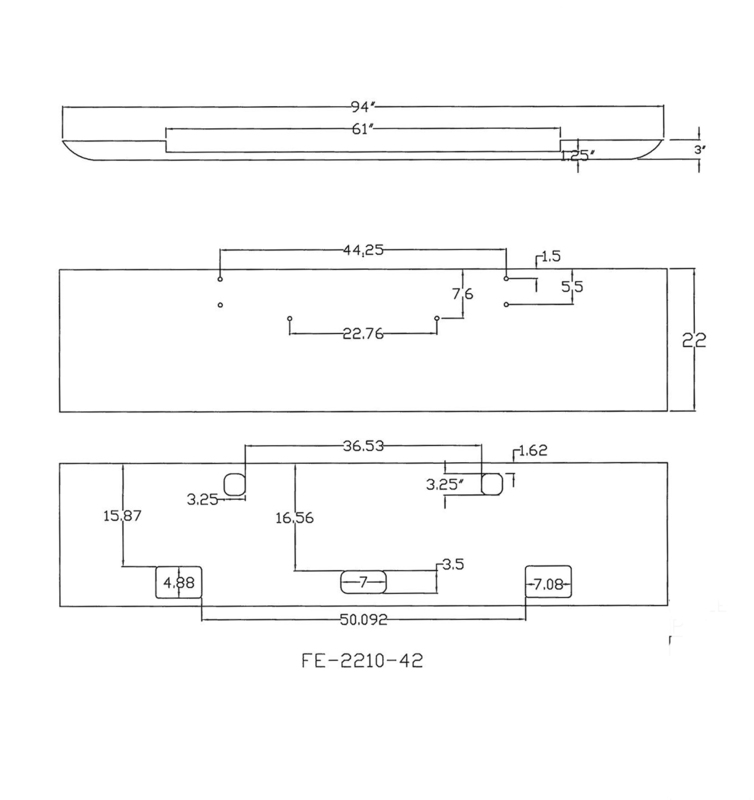 After Consultation With You We Will Submit A Drawing For Your Approval. 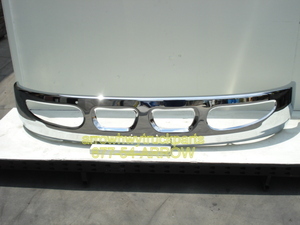 Air Dam Manufactured From Polished Stainless Steel And Bolts To The Bottom Of The Bumper For A Uniquely Customized Look. It Can Be Made With Your Choice Of: No Light Hole Cutouts, 9 Six” Oval Light Hole Cutouts, Or 14 Two” Round Light Hole Cutouts, You Can Even Order It With The Lights Included (Not Installed And No Wiring Included). 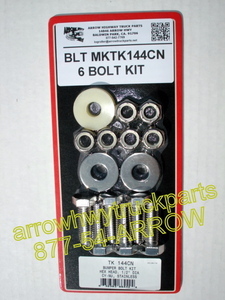 Bolt Kit: 6 Or 8 Stainless Steel Bolts, Flat Washers, Nylock Nuts, & Nylon Washers. *Due To Size Limitations Not All Bumpers Can Be Built To These Specifications. If This Is The Case A Drawing Will Be Submitted To You For Your Approval. When installing bumpers hand tighten only. Please do Not use an impact wrench. 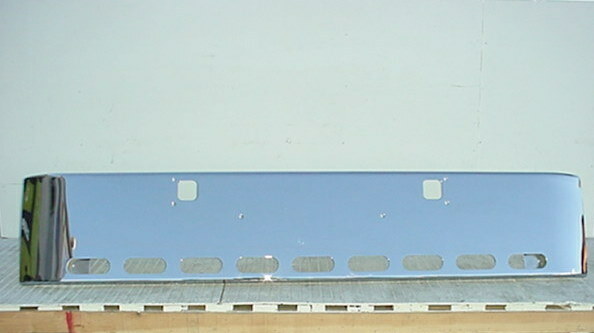 Frenched License Plate Box, License Plate Holes (Four 3/8" Holes).